Things are a little different this year. In comparison to the quiet end we experienced in December of 2018, 2019 has been full of promising signs. But before anyone can claim I’m being a typical agent and talking things up, it is important to understand the local market and contributing factors. Open home numbers in the housing market has been terrific ever since the return of school post Australia Day. Over the weekend our team met several buyers with our standout open being 7 Fairwater Drive in Breakfast Point. That open saw 22 groups through. 5 Beronga Street in North Strathfield also had a great turn out with 15 groups through. Strong numbers show us that there are buyers out there and most we speak to are finance approved and waiting to find that ‘1 property’. Of course what is out of the agents control is that of media portrayal. Many buyers we speak to are looking for a bargain or ‘waiting to see what happens’. This throughout history has been a tricky subject and one that can cause great problems. Now, more so than ever is a fantastic time to buy, especially if you are pre-approved. All it takes is a few good weeks of clearance rates and a few sold stickers around town then all of a sudden, prices will stay firm, be achieved and worst yet, open the chances of you missing out. I had anticipated a strong start to the year given the lack of stock that was available last year, but I must admit that even I am surprised by the numbers we are seeing though the doors. In our area, the first wave of auctions take place this Saturday and that could very well set the pace for what is to come. Success in sales will generate momentum which could be enough to drive potential buyers over the speed bump of hesitation and to make a decision. So despite what you might hear the market hasn’t stopped. It isn’t in reverse. Yes it has slowed as buyers and vendors come to terms with what has happened over the course of the last 6 months, but I would caution you not to be too comfortable. We live in a highly desirable pocket in Sydney and as the saying goes, good stock sells, regardless of the market. My key piece to take from the above – the conditions we are in will not last forever. If you are approved and like what you see, go for it! Traditionally the property tenure in Sydney is 10.5 years, so the market we are in today is irrelevant to the current buyers. Property prices and living costs have become a national dialogue debated as much as how long to leave a steak on the Barbie. There is no arguing it, Sydney is an expensive city. The costs to purchase a property and live are some of the highest in the world. It’s a cosmopolitan harbour city & I believe the property prices are easily justified, but it’s important to remember that the prices achieved are really based heavily on demand, not by the valuation or appraisal of an agent. As agents, we can anticipate the point in which the public see value, whilst ensuring the top dollar possible for our clients, however, throughout the last year, buyers and vendors have adjusted that figure according to media hype and the availability of funds as a result of the banking enquiry. Again, price is based heavily on value and demand. 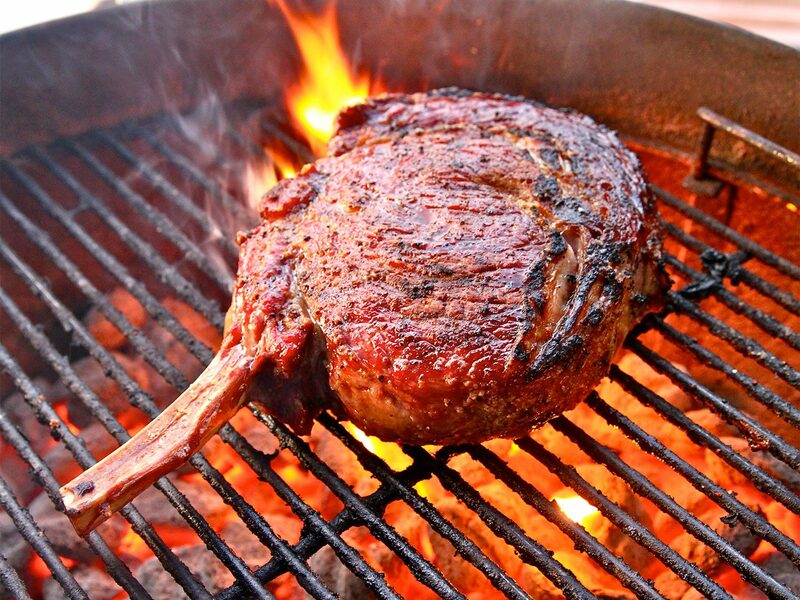 So we can argue that 3 minutes on one side and 2 minutes on the other cooks the perfect steak, but what there is no arguing about is, Sydney will always see buyer interest. It’s all about correct price setting, quality marketing and creating demand. 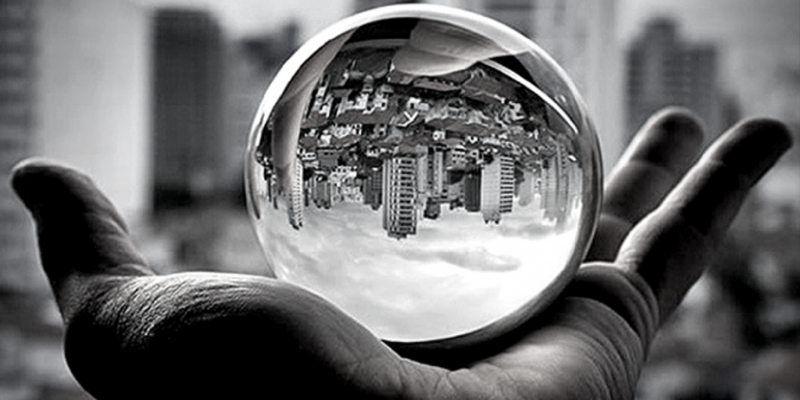 Being just one week into the 2019 property market, I’m not going to start by trying to make any crystal ball predictions of what is to come, I think unpredictable has become the ‘new normal’ across many aspects of life and that includes everyones’ favorite subject – real estate. Like I mentioned last week, what I do expect following an enquiry & appointment packed first week, is more property to be listed and sold in 2019. With 2018 acting as a break to the property market, we need to remember that there will always be a catalyst to enter the market which means there will always be people looking to buy and sell. I do expect further challenges in the first half of the year. There will be elections which bring uncertainty in terms of policy. Policy changes can deliver positive and negative outcomes depending on whom you speak with and how it affects the person individually. The ever banking enquiry findings will be released in March which again could change the way banks act for the remainder of the year. In an unpredictable market like we are in now, it takes more effort, more service, more support, more ingenuity and business savvy to secure a deal. Ray White has a support network of over 1100 offices, a head office with a dedicated marketing team, an auctioneering team and a compliance team ensuring that each and every transaction taken care of by Ray White has the strength to deliver much needed results. The upshot is that I’m more than excited about the year ahead and expect a more consistent market in 2019. There is no hiding the fact that auction clearance rates are down in recent weeks. So you may wonder who I am kidding when I say our team still have buyers actively looking coming into the Christmas holiday period. First of all let me set one thing straight, I’m not trying to pretend there hasn’t been a downturn in the property market. In fact I believe artificially inflating the market is the worst thing a real estate professional can do. Each week I am having vendors’ conversations and time and time again they say that another agent has called them, expressing the fact they can get a better price. It’s dangerous and downright silly because setting unrealistic expectations for vendors is setting yourself up to fail and ultimately costing only the vendor time and money. But assuming a downturn in the auction clearance rates is the end of the market is equally haphazard, contradictory to what the media may have us believe. As agents, it is very important to acknowledge the change in buyer behavior but it is equally important to remember that buyers are still behaving. Buyers are still attending open homes (albeit in lower numbers) and more importantly, they are still making offers. In the current market it is important to set a clearly defined timeframe for buyers so they can’t dither hiding behind the media onslaught. Buyers are taking longer to make decisions ultimately as a result of banks and lending institutions making it harder and harder to borrow. Buyers are more inclined to want to ‘wait and see’ so coming into the holiday season, setting deadlines and timeframes mixed with appropriate price setting is crucial. Of course not every property currently on the market will sell this side of 2018 – that is not to mean the campaign has failed. It is far from the end of the line. Our team continually identify potential interested parties and negotiate deals at outstanding price points (in both the rental and sale markets). Our work will continue until the deal is done. It’s list time (no pun intended). 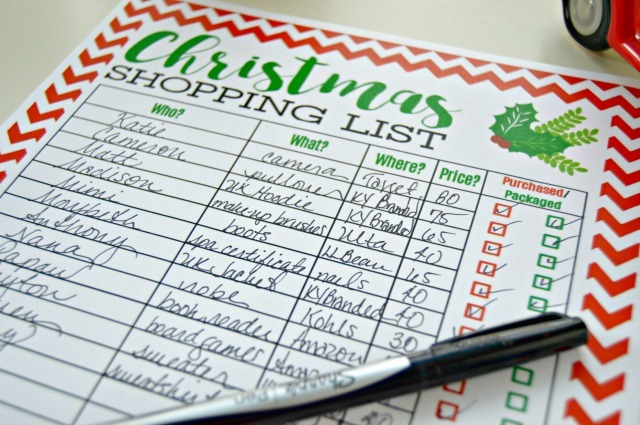 There is Christmas lists, present lists, jobs to complete lists and the all-important card lists. In terms of residential real estate there is also one very important list. It may not sound as exciting as toys under the tree, but, stock lists in the last quarter of real estate and the availability of stock is a strong influencer of the market conditions to come. If stock levels remain consistent throughout November & December, then consistency delivers consumer confidence coming into the New Year. Over the past week or so there have been some significant sales and results within our core area showing positive signs for the year to come. Similarly, there have been several properties placed on the market, at varying price points catering to all markets and buyers. Santa might not be delivering the record results once seen, but really, if you are buying and selling in the same market, the change in conditions is irrelevant, truth be told, you will actually be saving in stamp duty fees which essentially sees you in a better-off position. Our team are continuing to achieve good results for clients and I expect that to continue into the New Year. We are cautioning clients to maintain realistic expectations and those expectations are being met. So list your property or prepare your property for the New Year, there is still plenty of play left in the market and plenty of solid comparisons showing consumer confidence. As we all know, Melbourne Cup last week marks the unofficial start to the silly season. The festive parties may not have started yet, but the end of year certainly does feel like it’s fast approaching – delivering both good and bad consequences. The next couple of months are sure to be both hectic and fun as everyone celebrates the end of yet another year. So too, as the end of year draws near, tempers are more inclined to fray as deadlines for things to be done ‘before Christmas’ loom. But it is important to remember, yes the next couple of weeks are going to be manic, but the silly season is meant to be a fun and relaxed wrap into Summer that often feels quite the opposite. The Team at Ray White Concord are already running harder than ever conscious that our Vendors, Landlords and Buyers are all eager to close deals coming into December. Our team recognises the unique pressures added by the current media scrutinisation towards the property market and the fact that lending is becoming tougher and tougher creating added problems in the lead up to Christmas. Last week our office successfully exchanged on 2 multi-million dollar commercial deals, secured tenants on 4 managements, 3 of which were over $1000pw and had good numbers through each and every one of our residential listings (between 4-9 groups) and issued a further 7 contracts to perspective buyers. So my advice in Real Estate is to stay focused on calmly getting the job done but make sure it is done right. Yes, we are coming into silly season, but there is still time to successfully sell property, find property and lease property. Our team of agents and property managers are all working hard to secure the best for our clients and their deadlines. I look forward to seeing many of you this week out and about at our open homes. 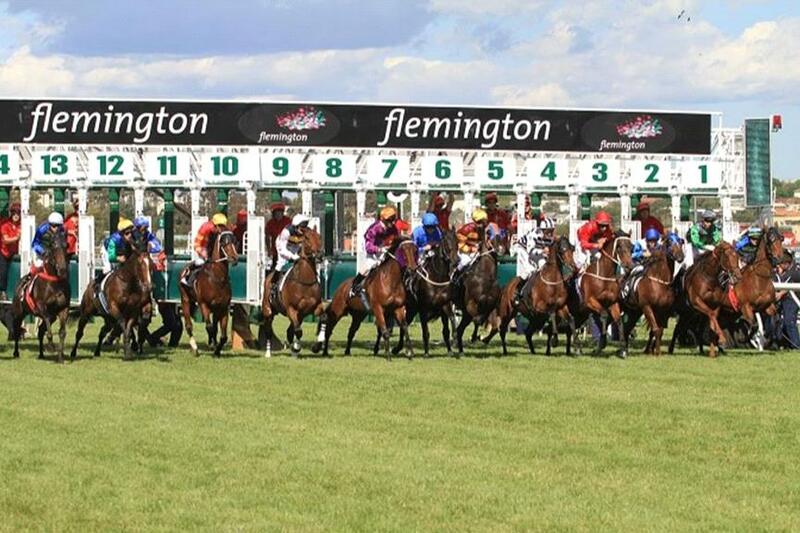 The race that stops the nation – Melbourne Cup. We know the odds of picking the winner are slim but it’s the fun and excitement on the day; knowing you have just as much chance as everyone else to pick the winner! In contrast, the odds for those looking to back the residential property market seem fewer and further between, but, as the old saying goes, you have to be in it to win it. I recognise that backing a horse on the Melbourne Cup and buying or selling a property are not exactly on par, however given its Melbourne Cup today, I’m going to stick with the theme! With listing numbers across Sydney remaining incredibly low coming into November, open home numbers remain in our core area around 3-10 at each open, showing there are people willing to take a punt on what the future holds. Regardless that auction clearance rates sitting around 47%, very good prices are being achieved post auction or in private treaty campaigns. Yes, buyers are negotiating harder or sitting back a little more than we are used to, but if a property is priced correctly the vendors are experiencing successes that go against the norm the media are portraying. I understand the nerves, I understand the fear, but, the fact remains the opportunity is there for vendors and buyers right now. It would be silly for me to say that it is easy for buyers at the moment given the lack of available stock, but the ones that are willing to look and make realistic offers are picking winning properties that will see them through the next real estate cycle. Just like the race that excites and stops the nation – The odds could very well be in your favour. Have a great day today, look forward to seeing many of you at our opens over the weekend. There is an interesting situation unfolding in the property market. Interest rates are at a record lows, but it appears as though finance is becoming hard to secure. 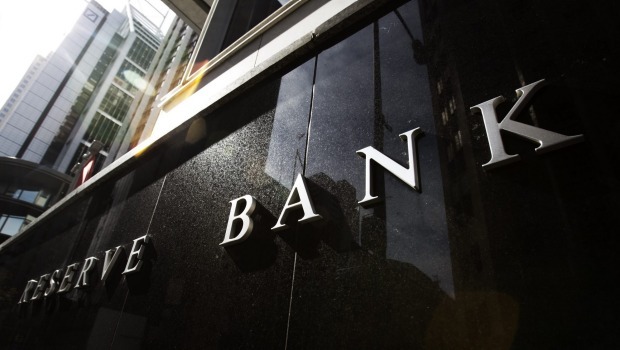 As I mentioned last week, the RBA cut interest rates yet again to bring us to a record low, but APRA have enforced changes on how banks can lend money for home loans. Its a catch 22. Similarly, there is now discussion on the banning of negative gearing throughout Australia, which will significantly affect the property market and the investment market for the worst. Its a wierd situation, money is the best its been, but we are either unable or too scared to access it. Not only that, throughout the Inner West, we are also finding that foreign buyers are starting to cool. The common feedback coming from them is the fact they are unable access domestic finance as easily as they have been in the past. So while the RBA decision to drop rates last week to the record low of 1.75% – a very positive move for the residential property market, the lending of money seems to be tightening and making it hard for people to borrow, whilst introduced policies are killing the market completely. I think it is too soon to determine exactly how all of this will affect us all in the long run. 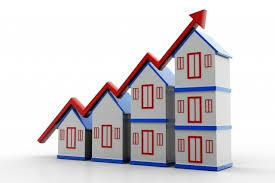 Naturally as we would all expect, the Federal election will dominate the headlines for the next 50 plus days allowing the property market to take a rest from the spotlight, and in saying that, over the past week of the unofficial election campaign, buyer interest has began to cool. I think everyone is in the ‘wait and see’ phase. As mentioned, proposed changes to superannuation, tax and negative gearing are all relatively big ticket items toward the property market. Regardless of the above, the market continues to deliver good results for vendors. Yes, there is a feeling of nervousness out there, but in reality, right now results are achievable due to the of a lack of stock to meet buyer demand. 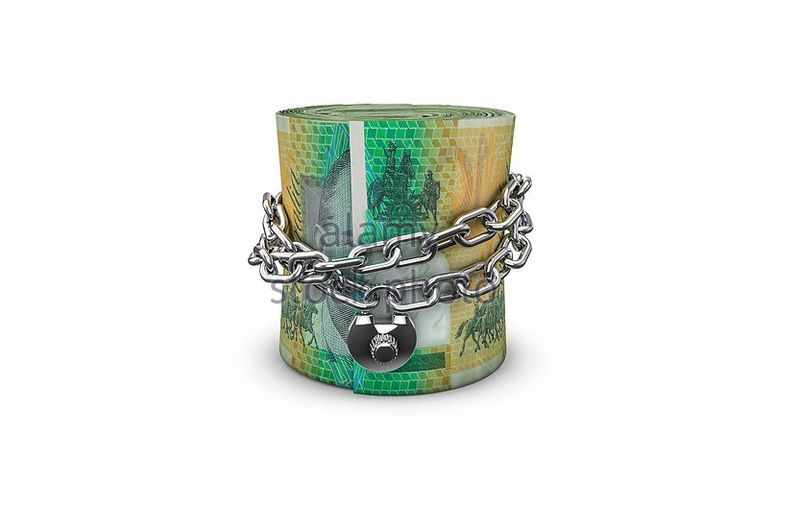 Negative gearing continues to be a hot topic. It is bought forward as a case between classes of different socioeconomic status. Therefore, it was inevitable that when our Prime Minister, Malcolm Turnbull decided to retain negative gearing tax breaks, and therefore aid investor activity in the residential property market, he would be seen as favoring the upper echelon of our community. In my personal opinion, it is not as simple as that. As I mentioned briefly last week in my blog, I believe it is possible to achieve an outcome where both the vendor and the buyer experience a win. With the right information on the realities of the market, a good agent can enable a positive outcome for vendor and purchaser alike. The same stance should be applied to negative gearing. Yes it does facilitate a stronger investment market, but, investors are key players in the ongoing strength of residential property. We need them to help sustain the value of property prices within Sydney. Make no mistake, they are the reason the market has been as strong as it has. And in saying that, low interest rates and another rate drop this week is equally good news for Investors & first home buyers. It has stabled the market in a period that would often make it wobble. No matter the market condition, the discussion of new budgets and talk of an early election would be enough to keep cheque books in back pockets for some time. The low interest rates and yet another drop has added fuel to the fire, keeping the property market rather hot. In my view considering all the factors that are going against the market at the moment, the sustained value in residential property has been quite impressive. I look forward to a continually successful 2016. Lets talk about databases. It seems like every appraisal or marketing submission I go to I am asked about my database, so what better forum to discuss databases with my very own client base. 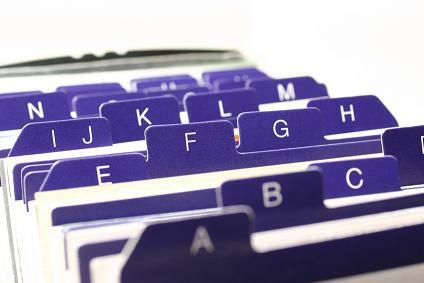 A database is the list of names and emails that have been gathered through open homes, online enquiries, inspections and canvasing. A client base however, is the names, emails, phone numbers as well as a detailed knowledge of the property interests of each contact nurtured by a professional relationship of regular communication. In Real Estate, when the market is hot and confidence is high agents realistically could just sit back, the phone will ring and people will come through the door. Its not my offices recommend approach, but in the heat of last year, it was definitely possible. It’s in a market such as today, where a degree of nervousness and uncertainty exist that agents need to work harder to engage with clients and have discussions about all Real Estate matters. If an agents client base has not been nurtured through the strong market it would be very hard, if not impossible, to establish in an uncertain market. Essentially the agent becomes yet another door knocker looking for his next deal. I am proud that myself, Garry and the team take our time to nurture long term relationships with our clients, no matter the state of the property market. Many of the people that have bought from us or sold with us remain as close clients. We enjoy having coffee with them or just saying hello, even if it is 2 years after the transaction took place. This is evident in the number of repeat business deals and off market sales that Garry & myself are able to put together. These are the sales predominantly founded on trust and respect of the agent, and yes, while it is a delicate balance to ensure the buyer and vendor achieve the best result possible, a good agent will achieve a great result for both. So contrary to popular belief, the rental market in Sydney is much stronger than expected, especially in the Inner West. The team here is continuing to see strong demand for apartments, houses and everything in between. It seems those predicting doom in the Sydney market forgot to look at the growing rental problems currently facing Brisbane. Just yesterday news reports indicated that migration to Brisbane is the lowest it has been for over 20 years. The latest data indicates the average Sydney rent has been increasing by $20 year-on-year and that the average growth sits at 4%.That is great news for investors, especially in the Inner West where quality often outweighs quantity. There still is a lack of rentals available as vacancy periods sit quite low, indicating that there is plenty of tenants out there looking for rental properties. The lending laws have slowed investors and we are seeing investment properties are now harder to finance, but those who are able are certainly making it worth their while. The lack of sale properties available is creating an ideal situation of rental and buyer demand. This demand is keeping both our Property Managers and Sales team on their toes experiencing a higher level of enquiries from purchasers and tenants alike. So contrary what many are saying about the flood of developments in the area, it is important to remember that Breakfast Point is almost in its final stages, so too is Mortlake & the surrounding developments. Buyer demand is high for many downsizers looking for the perfect property to unwind, as too is rental demand looking for a convenient place to call home. The Inner West has been and always will be a perfect place to invest in Bricks and Mortar. The message for the month of March was one that seemed quite simple. I also believe the same message exists for the month of April. That message – Opportunities exist for those who list. In the Inner West at the moment, there is a real demand for residential property. More importantly, compared to this time last year, the stock is simply not available. As I mentioned last week, too many people seem to be sitting and ‘waiting to see what happens’ rather than list. All that I can think it is a result of is in response to intense ongoing commentary that themarket is on edge and that at any point it is going to collapse. But, as I am sure you are all aware of by now, we have all been reading that for 6 months. The thing is, while the media commentary has made vendors cautious, it has not impacted demand in any way. Infact, buyers may even be a little more hungry now because they are the ones that think they are getting a great deal. Buyers appear more realistic about the underlying value of Sydney property.They’re not holding their breath for something that may not even occur. Buyers are looking for property that represents good value and are prepared to pay to secure it. So my message for the month ahead is to follow the advice of Wayne Campbell and Garth Algar ‘If you book them, they will come’. Timing for the word emotional only seems fitting as we draw a close to Valentine’s Week. The real estate industry is often an environment dominated by emotions, its an acknowledgement that there is more behind a decision to buy or sell other than just dollars and cents. Homes evoke memories, passion and romance all in one and they are often hard to walk away from; similarly hard to remain level headed about especially if one becomes emotional about a potential purchase. Unfortunately the Sydney property market is not as enthusiastic as the local florist, and, the overriding emotion on the market is quite negative. After such a long period of positive growth, many now feel the good days are over which has evoked fear that people have missed out or bought too soon etc etc. Contradictory as it may sound, we are seeing a degree of positivity to the negativity in the market that should not be misread. A significant number buyers & vendors see great potential to enter the market whilst others are scared.. Yes, percentages are down due to lack of stock on the market, but results achieved, especially in our area have been second to none. Importantly, a buyer that searches for opportunity doesnt necessarily mean a bad result for a vendor. Again, it is about potential and all about emotions. A good sales agent will identify the best opportunity and right strategy to position potential buyers to become emotional, committing to a sale price that represents good value for both purchaser and vendor. So over the coming weeks my advice is the same as it always has been, remain realistic, go in with an action plan because no matter what side of the fence you are on, there is a great potential for fantastic results – Now that is something you can be emotional about. I have to laugh. Just last week the paper headlines were all about how the property market is in a dire straight, yet over the weekend, newspaper headlines announce Sydney as being the second most expensive city in the world! Quite simply, property and the property prices in Sydney have become as much a part of our life as The Kardashians, whether we want it or not. There is no doubt, Sydney is an expensive city to both buy property and to live in. It’s the business hub of Australia with a harbour the world rivals. I remember back in my Navy days coming through Sydney heads after 5 months abroad and everyone was simply awestruck on how amazing the city looks, especially from the water. So realistically, to a sense, property prices are justified. We need to simply remind ourselves that prices are achieved based on supply and demand. I think supply and demand will be the key market communicator this year. There is no point discussing how poorly the market is performing, especially if I am at an open house with 15 interested parties all asking for a contracts. Buyers need to remain realistic. We are still living in one of the most desirable locations in one of the most desirable countries in the world. If there is interest, there will be a price to match. There is no point thinking because you read an article about how the market is dropping that you will be able to wait for a bargain, it simply will not happen, especially if demand already exists. Equally as important, to create demand, vendors should be realistic (as should the agent) when setting a sales price. Demand over the weekend was fantastic. We had on average 13 groups through each of our sale listings. That is just as good as the middle of last year. We are yet to see what, if any, impact the Chinese market and the subsequent reactions locally will have on the Sydney Property Market. As Sydney locals we are lucky in the fact that our property market has never been reliant on a single sector like WA to mining or other such examples. Our market is made up of several sectors of several countries keeping demand healthy.